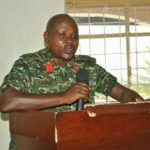 A Whatsapp user has penned a captivating dossier on the reported relations between President Yoweri Museveni and his long-time political confidant, Major General (rtd) Kahinda Otafiire. According to the writer, who claims he or she ‘enjoyed full protection from Otafiire’, Mr. Museveni has reportedly sidelined many of his old comrades commonly known as ‘Historical’ among them Gen. Otafiire from joining active military action during the five-year Bush War, based on self-interest and sectarian tendencies. 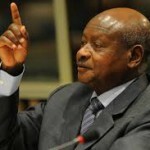 In the write-up, the writer further claims Mr. Museveni also ‘sidelined’ other comrades like Eriya Kategeya; Nuwe Amanya Mushega, Dr. Kamanyire, Tom Butime, Al Haji Moses Kigongo and Ambassador Katenta Apuuli from active military participation, reportedly assigning them to top civilian posts in the ruling party, the National Resistance Movement (NRM). ‘I enjoyed full protection from Otafiire’ the writer claims, ostensibly referring to the time when Gen. Otafiire served as the Director General of External Security Organisation (ESO). According to the writer, he/she enjoyed the said protection following Otafiire’s ‘retirement’ from cabinet after he threatened to shoot Jennifer Kutesa, the deceased wife of Sam Kahamba Kutesa, the current Minister of Foreign Affairs. The writer however, says that like former NRM Secretary General John Patrick Amama Mbabazi, Gen. Otafiire has clung to Museveni thinking the leadership baton will be passed over to him, to no avail. ‘He (Otafiire) never at one time throughout the five years of the bush war got involved in combat not because he was incapable or a coward but because Museveni did not want him to. This was the same case with the likes of Mushega, Butime, Kigongo, Kategaya, Mbabazi, Dr. Kamanyire, Katenta Apuuli, and others. Museveni kept them off the mainstream military service in order to control their influence in the military while at the same time ensuring that his Hima dominated the top command positions of the military,’ the writer posted. 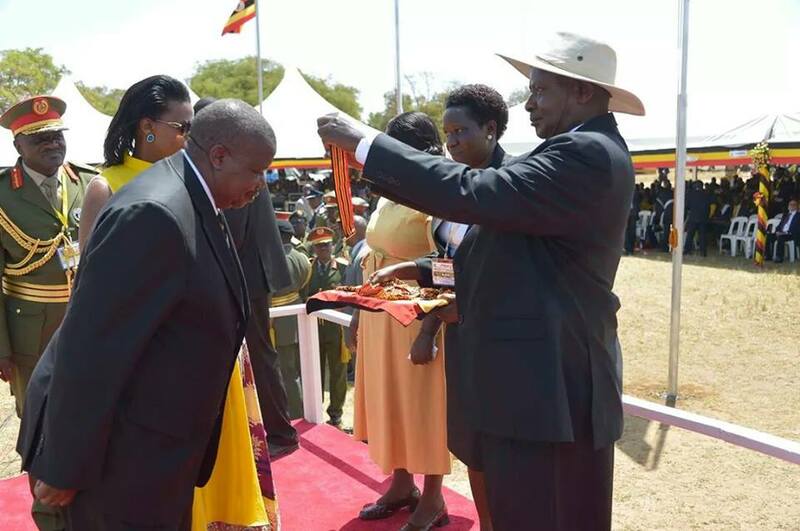 Gen. Kahinda Otafiire is Museveni’s Minister of Justice and Constitutional Affairs. He is the former Member of Parliament for Ruhinda in the Bushenyi sub region. He is the only top politician among all the non-Hima who participated in Museveni’s bush war who is still clinging on Museveni. Being an ethnic Mwiru from Bushenyi, Gen Otafiire was also a victim of Museveni’s ethnic schemes during the bush war. Like several other University graduates who hailed from other non- Hima geographical areas, he was systematically kept out of the mainstream military and instead assigned to civilian political work. He never at one time throughout the five years of the bush war got involved in combat not because he was incapable or a coward but because Museveni did not want him to. Museveni kept them off the mainstream military service in order to control their influence in the military while at the same time ensuring that his Hima dominated the top command positions of the military. Around 1985 when the NRA had established an interim administration in the western region, Museveni sent Otafiire to Rwanda’s Habyarimana to secure veterinary drugs for the cows in Nyabushozi. After taking over the government, Gen. Otafiire was one of such people who were assigned to civilian executive positions. When he threatened to shoot the wife of Sam Kuteesa for having called him a Mwiru, he had to resign his ministerial post. Instead Museveni appointed him to head his External Security Organisation (ESO) – a spy outfit charged with gathering external intelligence and assassination of dissidents. When formal ranks were introduced in 1987, Gen. Otafiire like his colleagues in that category were supposed to be awarded only honorary army ranks just for ceremonial purposes. Unlike Kategaya who was outrightly awarded an honorary Brigadier and Army Number RO/002, Gen. Otafiire like his colleagues (Butime, Mushega, Mukwaya, Etc.) sneaked on the list but were awarded lower ranks compared to their junior school dropouts like Saleh and Rwigyema who were made Generals on grounds that they had been militarily active in the bush. Most astonishing is when Museveni made Gen. Rwigyema, a known Rwandese refugee and senior 3 dropout, Minister of Defence!!! While Kategaya accepted the honorary rank of Brigadier, until his death he never donned a military uniform. While Otafire and his colleagues made attempts to become army officers, Museveni deliberately kept them outside the military while at the same time hoodwinking them with promotions in military ranks even in retirement. During his reign at ESO, the country witnessed among other security scandals, the killing of Congolese gold dealers by a notorious ESO operative Humphrey Babukiika. I enjoyed full protection from Otafiire. The same Otafiire used Lt. Col. Ronald Kawuma in infiltrating dissidents in Kenya where he declared war on the Museveni regime. But Otafiire soon turned against Kawuma. 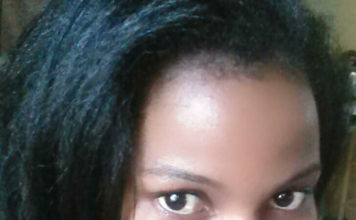 The latter was incarcerated in Makindye dungeons where he later died. Otafiire used his position in the regime to steal copper rivets from an Indian businessman in Uganda. 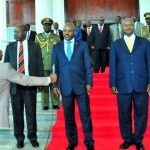 During Museveni’s Congo military expedition, he asigned Otafiire as the defacto Governor of Ituri province. Otafiire presided over the worst war crimes in Ituri. He actively participated in the facilitation of Congolese war lords with recruitment, training and arming of militias for them. During the Kisangani clashes with the Rwandese army in Congo’s eastern city of Kisangani, Otafiire was almost taken hostage by the Rwandese forces. The civilian soldiers in Otafiire and Mayombo set a record when they were giving wrong ammunitions for the machine gunners during a fierce siege at Hotel Wagenia. After being smoked out of Kisangani city, Otafiire relocated to Bunia together with Congolese RCD-Kisangani Chairman Prof. Wamba Dia Wamba. In Prof. Wamba’s security detail was a one Bosco Ntaganda (indicted by ICC). While in Bunia, Gen. Otafiire arrested Bosco Ntaganda for killings and detained him in Mbuya Barracks in Kampala. However, shortly after, the same Bisco Ntaganda was released and dispatched back to Ituri for further carnage. Among all the key players in Congo like Wapakhabulo, Kaziini, Mayombo, Muzoora, Peter Kerim and others, it is only Gen. Otafiire who is still alive. In the event that the ICC had opted to go after Ugandan officials, it’s only a few like Museveni, Kayihura, Saleh and Otafiire that were to be indicted. It’s his involvement in the Congo and the potential threat of being indicted by the ICC that partly contributes to his clinging on Museveni who apparently seems to enjoy immunity against war crimes both at home and in neighboring countries. Museveni later brought back Otafiire into Cabinet and as such he has held different ministerial positions. At one time Otafiire boasted that Museveni cannot drop him from the cabinet because he (Otafiire) is ‘ capable of causing trouble’. Museveni is running a scheme of getting rid of all his former comrades commonly referred to as ‘historicals’ as a way of preparing the ground for the succession by his son. Otafiire is such one historical who all along viewed himself as very close to Museveni because of historical (FRONASA) connections, appeasing the Bairu and Bushenyi in general, and the illusion that Museveni fears him. When he vied for the position of party Secretary General, Museveni favoured Amama Mbabazi. When Amama Mbabazi was chased, Otafiire had hoped that he would be the one to replace Mbabazi as Secretary General. Little did Otafiire know that Museveni no longer needs him. His constituency was split after creating the new district of Ruhinda. And when he declared his intention to vie for the regime party Deputy National Chairmanship for western region against the incumbent Gen. Kyaligonza, Museveni sent in his son-in law Odrek Rwabwogo to vie for the same. When the going got tougher, Museveni pulled back his son-in law following an understanding that Otafiire was to also withdraw his candidature. Otafiire had entered the trap and members of the first family led by the First Lady and Sam Kuteesa led the ‘Operation Destroy Otafiire’. 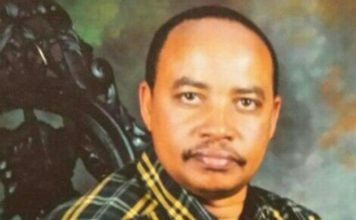 He lost in the party primaries to a little known Capt (rtd) Kahonda. The retired Captain was nominated while in police detention on charges of forgery. If he had not been an opponent of Otafiire, the Electoral Commission would not have nominated him on grounds of his questionable academic papers. If Museveni had wanted Otafiire to return to parliament he would have not released Capt. Kahonda to contest. Museveni helped Musa Abiriga in West Nile by prevailing over the Electoral Commission to allow his nomination. The same applied to the Eastern region Youth MP who had lost in the primaries but was not in the voters register. DP’s Norbert Mao whose name was missing on the Voters Register could not be helped and did not vote. For a long time Otafiire has not been disapproving of Museveni’s ways but like Mbabazi, he too has been hoping that Museveni had been breeding him for top leadership. Little did he know that Museveni was bent on doing away with historicals while the first family badly wanted his head. 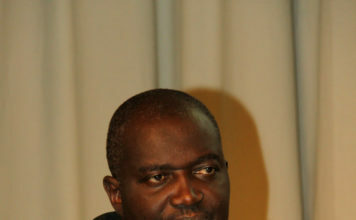 In January 2013 Otafiire attended the graduation party of a top regime critic, Theodore Ssekikubo in Rwemiyaga. Otafiire used the occasion to react to the coup threats that had been issued by Gen. Aronda by stating thus: “I heard that some leaders in the army were plotting to overthrow the government. I warn them that they should keep in their barracks because the Army’s role is to defend the country and the constitution, not managing government. Hon. Ssekikubo has issues with Museveni’s father in Law, Hon Sam Kuteesa in Ssembabule and by inviting Otafiire who had earlier threatened to shoot Hon Kuteesa’s wife to attack the regime and Museveni in particular, was enough to spark off a war against Otafiire.